Background Checks | South County Sports Club, Inc.
Any person wishing to volunteer in SCSC must complete an SCSC volunteer application form each year, either online or by using the hard copy form, and submit a signed copy to the Sports Director. The application form includes a Criminal Background Check Release. All requested information must be provided by the applicant, including Social Security number, driver license number (or other state issued photo I.D. if the applicant does not drive) and date of birth. 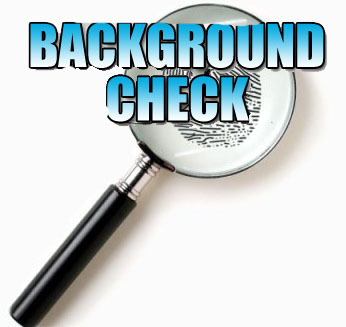 Criminal background checks are performed on an ongoing basis throughout the year. The responses on the SCSC Volunteer Application Form may target certain individuals for automatic background checks. The Notice of Duty to Review Criminal Record process is initiated by the Treasurer of SCSC. When a negative determination is made, a copy of the criminal conviction report received by the Treasure must be sent to that volunteer applicant in an envelope marked “Confidential - to be opened by addressee only,” along with the Notice of Duty to Review Criminal Record cover letter. If a conviction is disclosed or discovered, SCSC Staff must make a decision on whether or not the applicant may be used based on the following guidelines and partial Table of Convictions and advise the Sports Director of its decision. As used in this policy, the term conviction refers to a conviction entered after a trial, after a guilty plea or after a plea of no contest/nolo contendere. Any individual on probation or required to complete a court ordered rehabilitation or other such program following a conviction for a crime appearing on the Table of Convictions will not be considered to serve as a volunteer until all terms and conditions established by the court have been satisfied and proof of completion submitted to SCSC. Most felony convictions will result in a negative determination. Evidence of multiple convictions, either felony or misdemeanor, are likely to also result in a negative determination. Where a conviction is remote in time or where the applicant’s conduct since the conviction(s) indicates rehabilitation or lack of risk to the membership and the program, some leeway may be provided, but only with the concurrence of the Sports Director and Board of Directors. DUI: Persons convicted of driving while under the influence within the preceding 3 years will be disqualified from holding the position of team coach or assistant coach. Persons convicted of driving under the influence within the preceding 3 years may be accepted for other volunteer positions with the understanding that they are prohibited from driving any child or SCSC volunteer other than immediate family members to or from an SCSC activity. If any discretion is exercised in the application of this policy, it must be exercised in a uniform manner, so that substantially similar convictions and circumstances result in substantially similar treatment of potential volunteers. The Sports Director and Board of Directors will be immediately notified when a negative determination is made, or if there are issues related to an application. The specific results leading to a negative determination must remain confidential unless the applicant is willing to reveal the results to the Sports Director and Board of Directors.